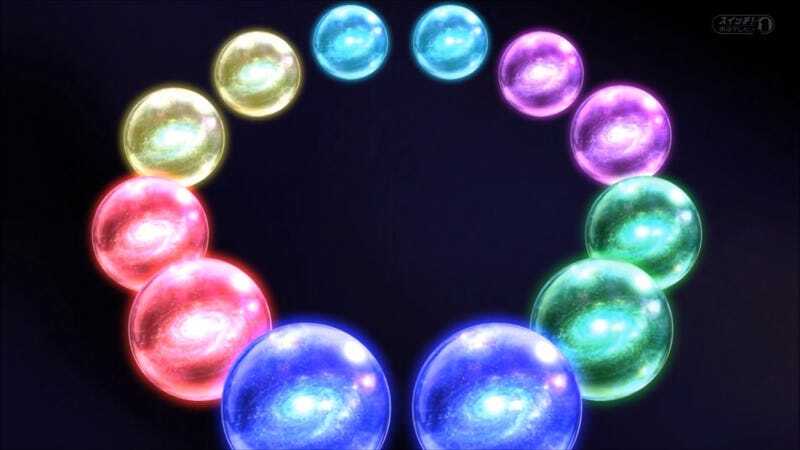 As a follow up on my last piece, and in response to a request, here is an explainer on the Dragon Ball Super Multiverse. I had initially planned to have a look at the different universes, but that became a bit long winded, since I felt that a lot of things would need explaining. Granted, this has evolved into a bit of an overarching recap of the series, particularly in reference to some of the deities and the various universes they inhabit. Included are various tidbits I found interesting, I learned quite a few things researching this. Also, a question that pretty much breaks the anime! Atleast for me, but that wont stop me from enjoying it! I will try to summarize everything towards the end, for those who don’t feel like reading everything. I must say, though, that I will be discussing some major plot-related stuffs, so please read no further if you plan to watch ‘Super! Spoilery Spoilers Follow, You Have Been Warned! Some time ago it was revealed to us that the universe we know and love has a twin - this revalation came shortly after Champa and Vados were revealed during the Frieza arc. Not long after this, just as we are getting used to the idea that there is a whole nother universe out there, Whis casually dropped this bomb - that apart from these 2 known universes, there were 10 others out there somewhere. At that stage, we were just getting to know Champa, AKA Fat Beerus. We also learned that the universe we know is numbered 7, and this counterpart was numbered 6. OK, this doesn’t seem too complicated. Does it? Isn’t it odd that these “angels” are stronger than Gods? Hrm. Let’s not worry about that for now, and enjoy the show! So, here is Champa, snooping around Universe 7 gathering the Super Dragon Balls that are spread between the 2 universes. Planet sized Dragon Balls? This is getting ridiculous! At some point it is explained that some dude called Zalama created the Super Dragon Balls, and patented a technology that makes the stars look the same from every angle. It is never explained why he created them. I’m not making this up, this is canon, friends. Fat Beerus is shown to be just as petty as his skinny counterpart, since his plan was to use the Super Dragon Balls to swap the Earth of Universe 6 (a barren rock after nuclear war) with that of Universe 7, simply because (apparently) Earth has the most delicious food in the entire Universe, according to Beerus himself, who destroys planets that aren’t up to scratch. At some point in the midst of all this, we are introduced to some new characters, such as Jaco the Super Elite (not actually as impressive as he sounds) and the Galactic King, who accompany the gang to the Universe 6 Tournament. The Galactic King seems rather important, doesn’t he? Turns out, he was a bit of a red herring - at the end of the tournament, this guy Zeno shows up, just to make things a little more confusing. Zeno is a pint sized, childlike deity, and his presence makes supremely powerful beings like Beerus and Champa quake in their boots and prostrate themselves at his feet. Goku doesn’t really take the hint, and is his usual self, casually walking up to the little guy introducing himself. This little guy is the ruler of all the Universes, and on a whim, he can erase or create entire universes. He is a pretty powerful guy, despite his appearance. He also has a similar angelic attendant to Champa and Beerus. Obviously, this is all lost on Goku, who doesn’t understand why everyone is so uptight - Zeno seems like a nice guy, I mean, he’s basically a kid? What the hell, guys? He just dropped by to say that he was watching, and had greatly enjoyed the tournament. He hoped he could have one where all the universes were invited. Goku can barely contain his excitement. This is all basically foreshadowing the events that lead up to the Tournament of Power. At some point after the Future Trunks arc, everything is fine and dandy, until Goku uses the item Zeno gave him to go visit and remind him about the Tournament. This is quite the revalation - Zeno, in his innocence (ignorance?) destroyed 6 entire universes on a whim. 6. Entire. Universes. Let that sink in. This technically makes Zeno the biggest mass murderer Dragon Ball has ever seen - Frieza destroyed a bunch of planets and delighted in the suffering of innocents, and is the most evil dude in Universe 7, dead or alive. This pales in comparison to the countless lives that were simply erased from existence, for no apparent reason. It’s incomprehensible, really. Now there’s 2 of them? OK, let me explain. At the end of the Future Trunks arc, Zamasu basically infuses himself with the very essence of the future multiverse, so Goku uses the item Zeno gives him to summon Future Zeno, who subsequently destroys everything. Then, instead of leaving the little guy to his own devices (he could very well have re-created his own universe/s) he brings him back to the present, and takes him to live with present Zeno. A nice gesture, since apparently he promised to bring Zeno a friend to play with. This is conjecture on my part, but I think at some point this will be very troublesome. Zeno strikes this pose every so often, and one of them does a double take, changing arms to copy his counterpart. These are 2 different (omnipotent) beings, in the same way, arguably, that the current timeline’s Trunks will grow up to be very different to Future Trunks. It’s a different bag, but it’s another interesting discussion that you can weigh in on in the comments - how will having seen a future version of himself affect present Trunks? We can only speculate, but isn’t that what the internet is for? And, here is the item that Goku was given, enabling him to either summon Zeno or be transported to his location. Without this, he would not have had the future erased, so arguably it has helped, but also, it has caused some problems. He offers it to Fortuneteller Baba as a gift, and she rejects it saying it’s far too dangerous. Foreshadowing, much? There are 12 Universes, each with the following Heirarchy: God of Destruction with their Attendants, Supreme Kai representing Creation, Various regional Kais. Speaking of, they haven’t gotten around to reviving King Kai yet! The Gods of Destruction and their attendants continue the long-running tradition of punny names, this time based on various alcoholic drinks. Zeno, the Omni-King, as his name implies, rules over all the Universes, and has the power to create and destroy them as he pleases. The Gods of Destruction appear to have been regular mortals at some point, which is why they vary in appearance as opposed to the Kais, which are a race of beings born from giant trees called Kaiju. So basically, the Kais are plants! Goku and Vegeta training with Whis essentially means they are candidates to replace Beerus, should anything happen to him. I didn’t mention this before, but each God of Destruction has a life link with their Supreme Kai, so that the powers of Destruction and Creation remain in balance should one of them die - meaning, Beerus can be destroyed simply by killing Shin. last, but not least,a shoutout to the user leonluisgj, for giving me the idea. Perhaps not exactly what you had in mind, but I had a lot of fun researching and writing this piece!